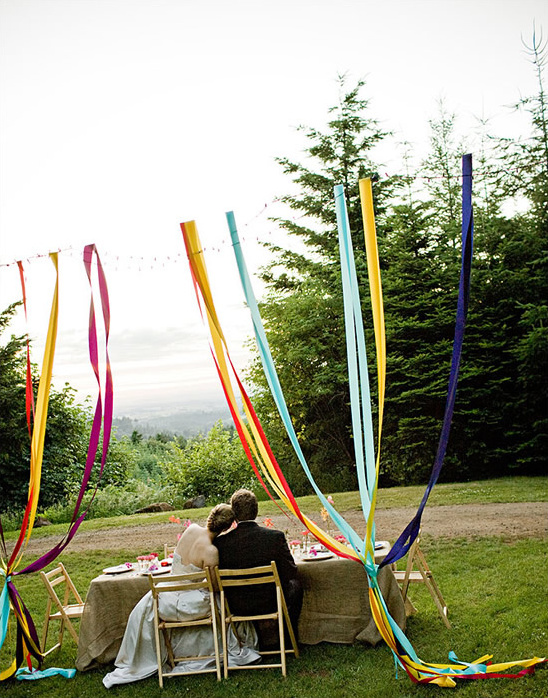 If you love ribbons and want to incorporate them into your wedding decor, prepare to be inspired. 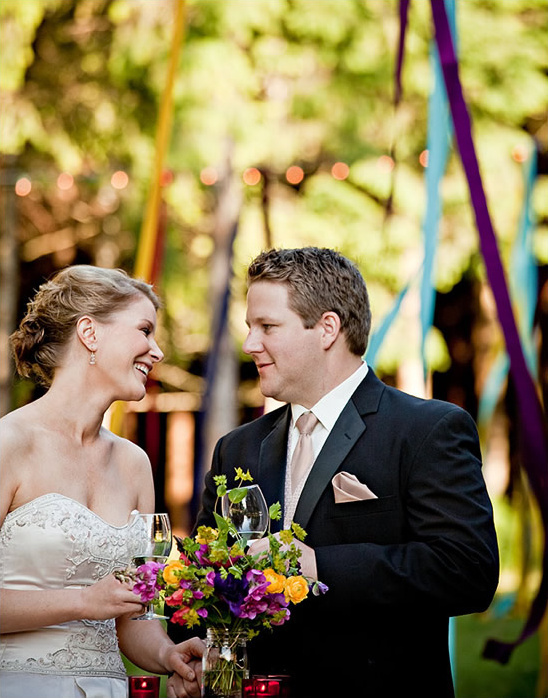 Thanks to the charming Lauren Brooks Photography and Champagne Wedding & Event Coordination for sharing this with us. 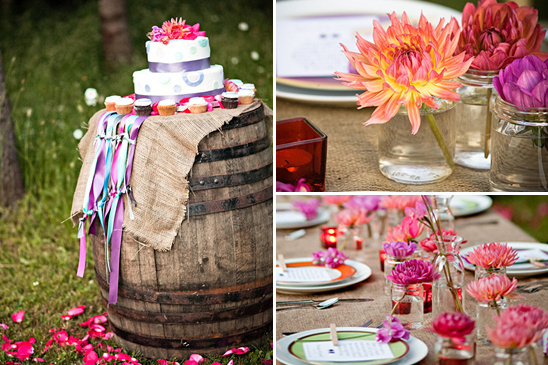 Read on to hear how you can integrate these lovely ideas into your whimsical wedding. 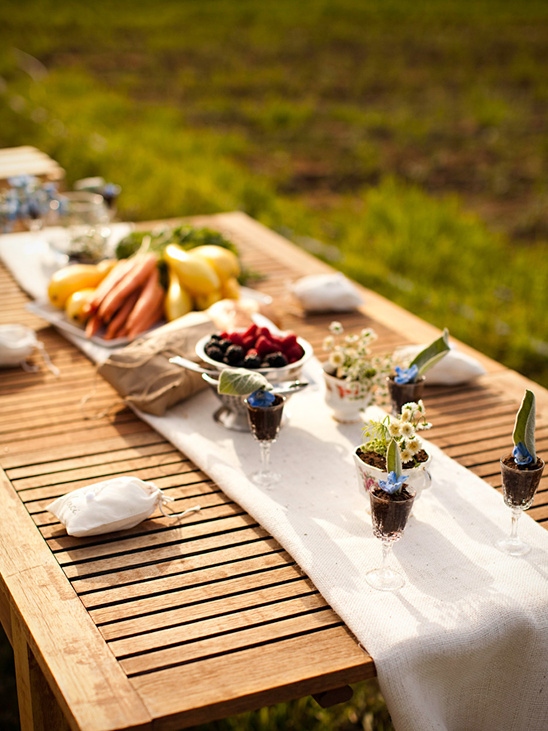 Inspired by Domaine Margelle, the beautiful and pastoral setting where the shoot took place, our goal was to create a look that was romantic, whimsical and relaxed. 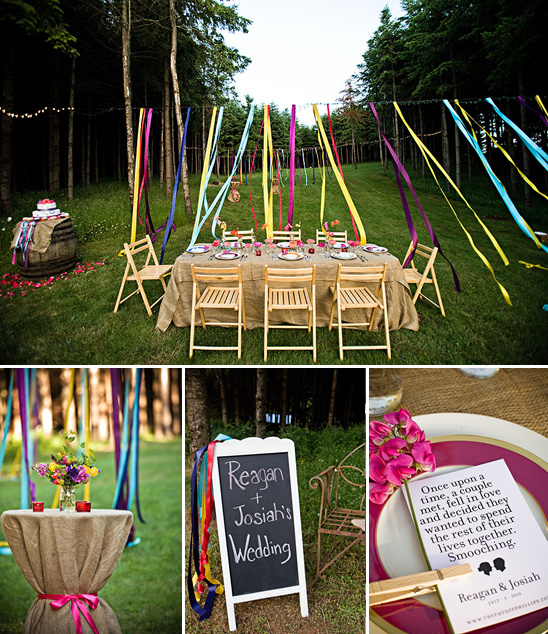 By using elements such as colored ribbon, clothes pins, burlap, and mason jars full of organic flowers, we wanted to design a scene that was colorful, festive, and approachable; a look that brides and grooms could be inspired to create on their own with objects that they can find in their local craft store. 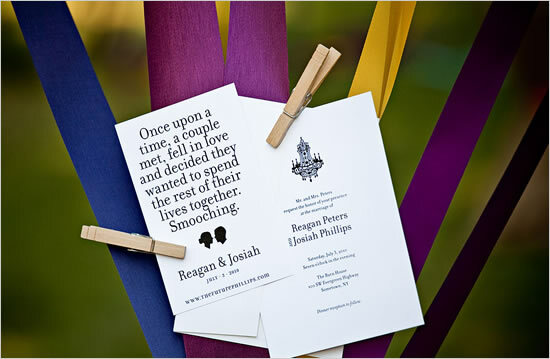 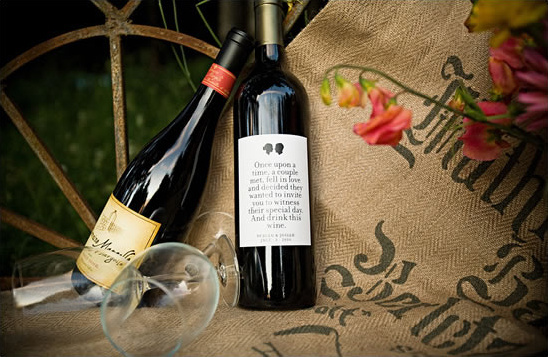 The personalized silhouette portrait stationary and matching wine labels added an intimate feel to this sweet country-inspired setting.